Lobby Hours 9:00AM-5:00PM & Drive-thru 8:30AM-5:00PM Mon-Fri. Internet Banking and ATMs always open! 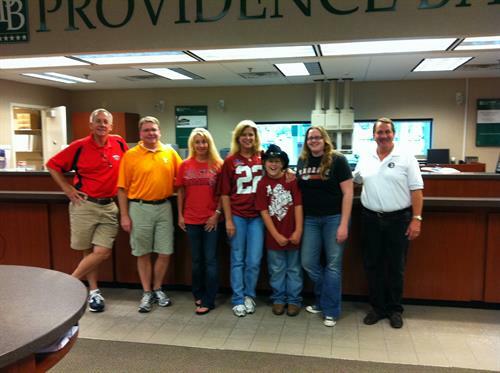 Providence Bank is the only community bank locally chartered in the Alpharetta/Milton community. Established in 2006, Providence Bank offers a wide array of banking solutions that include consumer, commercial and real estate loans and lines of credit as well as personal and business deposit products. The benefits of a community bank include personalized relationships, an unmatched understanding of the local community, and more lending flexibility. A community bank follows the community it serves. So, when the local community prospers, so does a community bank. We are on Windward Parkway near the intersection of Highway 9.